U.S. National security adviser John Bolton listens to a question from a reporter after his talks with Russian President Vladimir Putin in Moscow on June 27, 2018. 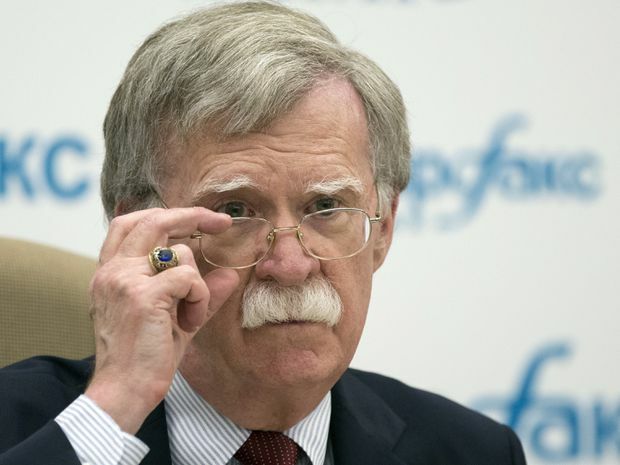 Mr. Bolton told CBS’s Face the Nation that Washington has devised a program to dismantle North Korea’s weapons of mass destruction – chemical, biological and nuclear – and ballistic missile programs in a year, if there is full co-operation and disclosure from Pyongyang. He said U.S. Secretary of State Mike Pompeo will likely discuss that proposal with the North Koreans soon. The Financial Times reported that Mr. Pompeo was due to visit North Korea this week but the State department has not confirmed any travel plans. South Korea media reported on Sunday that U.S. envoy Sung Kim, the American ambassador to the Philippines, met with North Korean officials at the border on Sunday to co-ordinate an agenda for Mr. Pompeo’s next visit to North Korea. Republican Senator Susan Collins said the report was troubling. “North Korea has a long history of cheating on agreements that it’s made with previous administrations,” she said on CNN’s State of the Union. Collins stressed the need for “verifiable, unimpeded, reliable inspections” of the North’s weapons programs.